You have a decent pay-packet, attractive incentives, and festival bonuses. Even after these windfall gains, you fail to have savings and end up borrowing from friends and relatives. If you identify your situation with these scenarios, then this blog post is definitely for you. If you aren’t keeping track of your expenditure and income, then you will witness month-end periods that will feel like nightmares. Working individuals and homemakers have to deal with budget constraints, and it is here that they look for effective solutions. This means that it is high time to set, determine, and maintain a budget. The term ‘budget’ gives rise to misconceptions and preconceived ideas. The moment someone hears the word, he or she starts imagining a world of frugal lifestyles, misery, and controlled expenditure. However, there’s another side to the story. Budgeting is important as it creates opportunities for smart spending. You don’t have to cut down on crucial expenses. 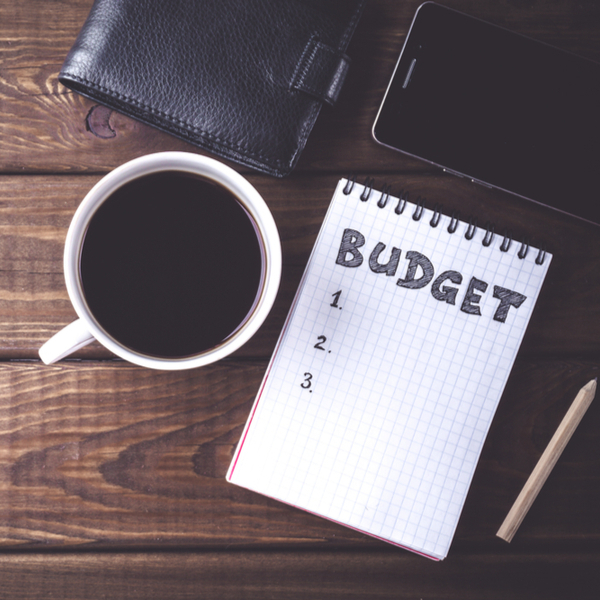 What you need to do is reduce unnecessary costs, and that’s what a monthly budget planner helps you do. If market research is anything to go by, overspending happens to be an instrumental factor why people shy away from maintaining a budget. Young couples within 30-years age bracket have the habit of spending too much on dinners and shopping. Almost 52% of them spend way more than needed which leads to arguments over money among couples. When you pay by credit or debit Cards, you lose track of how much you spend. A key psychological reason is because we don’t see the money going out from our pockets, it’s just a plastic card swiped at the card machine. But when you pay for anything by cash, you automatically become more aware of the actual amount spent. Also with cash you can only spend what you have unlike with a credit card where going overboard has become pretty routine. How to start with budgeting? These pointers will help you prepare the outline for an effective and realistic home budget. Once you are through with it, you can rely on a highly functional money manager app and your distinctive budgeting skills. You should always have a monthly budget planner in your mind as well as the notebook. Write it down and classify expenses into various categories. You can also note down the various sources of income and earnings, as that will help you leverage daily expenses app and innovative technologies. Set up SIPs and auto-debits immediately after your salary credit date. This way your investment goals will remain on track. Setting up investments in auto pilot mode ensures that the money is invested before it is spent. It’s highly imperative to prepare the budget in such a way that all these categories are taken into account and cared for. That will inevitably lead to successful savings efforts. Tracking expenses is the best way to save and determine budgets. You can leverage spending tracker app or use a dynamic and intuitive budget app to engage in effective budgeting. Since economic downturns and debacles are a part of our lives, it will be judicious to save right from the beginning through reliable technology solutions. With targeted planning and interactive daily expenses app, budgeting will turn into a unique affair for every individual. Make sure you prepare comprehensive budgets based on correct assumptions and precise information. That will lead to meaningful savings too!